Find glittering, gorgeous emeralds in Hiddenite, only about an hour’s drive from Winston-Salem, NC. The Emerald Hollow Mine is home to the only emerald mine in the United States open for public treasure hunting. There are sluiceways where you can check out findings from the mine, or you can pay to do your own prospecting, digging, and hunting for a small fee. Although the 70-acre site is known mostly for its emeralds, you could also end up with sapphire, tourmaline, garnet, topaz, and aquamarine. The mine is open year-round and boasts gorgeous scenery, too. Want to mine for diamonds? Murfreesboro is the place to go. 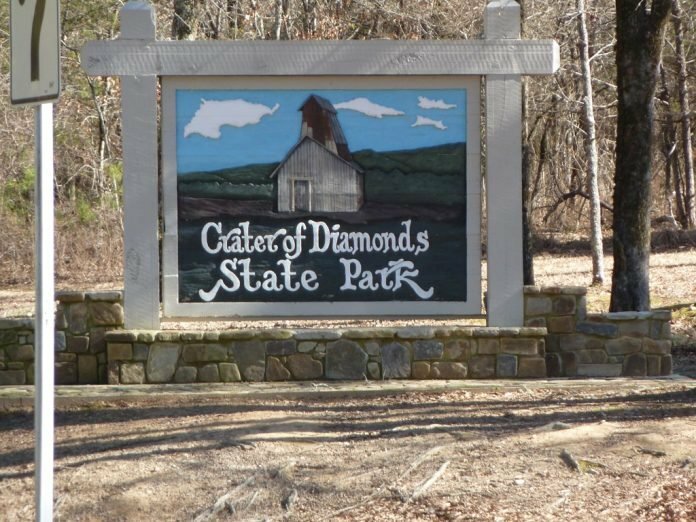 The Crater of Diamonds State Park, 120 miles from Little Rock, AR, is the only existing mine where visitors can prospect for diamonds and keep their findings. Stay at the park campsite and enjoy wildlife and natural scenery as well as some sparkling stones. You’ll see diamonds everywhere, even laying in the dirt, but you can rent equipment at the park for deeper digging. Once you have a pan of stones, head over to the office so an appraiser can check your stash to see how much your sparklers are worth. So far, visitors to the park have found well over 30,000 diamonds, including a 16-carat beauty in 1975, so your chances of landing a stone are high. 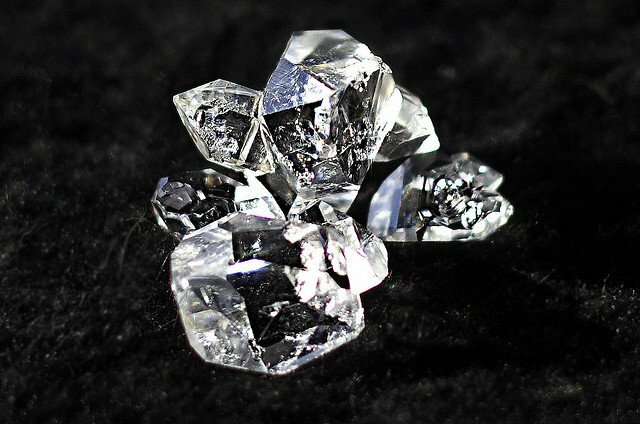 As with other diamond deposits, most of the stones are small and included, but some fine gems have been found here. (UPDATE: In June, 2015, an 8.52-carat diamond was discovered at Crater of Diamonds State Park. With an estimated value of $1 million, it’s the most valuable diamond ever mined in the US. Read more about this unique diamond named Esperanza). Looking for aquamarines? 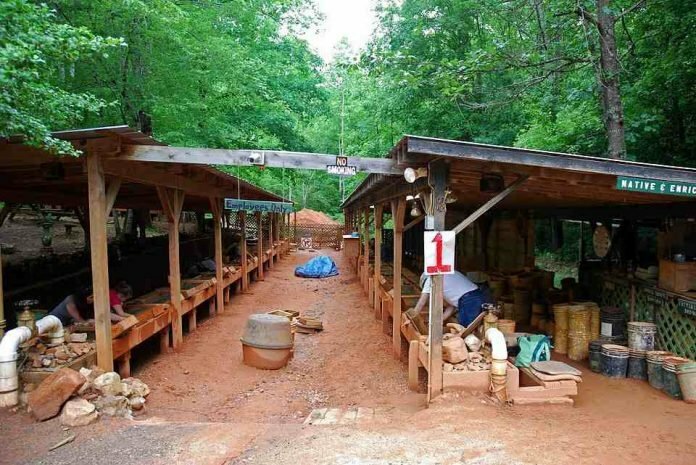 Head to Spruce Pine’s own Gem Mountain. The Blue Ridge Mountains are the perfect place to prospect for the beautiful blue stones as well as rubies and moonstones. Onsite gemologists can inspect your findings to see if they’re the real deal, and gem-cutters can spruce up and turn your gems into pieces of jewelry before you head home. 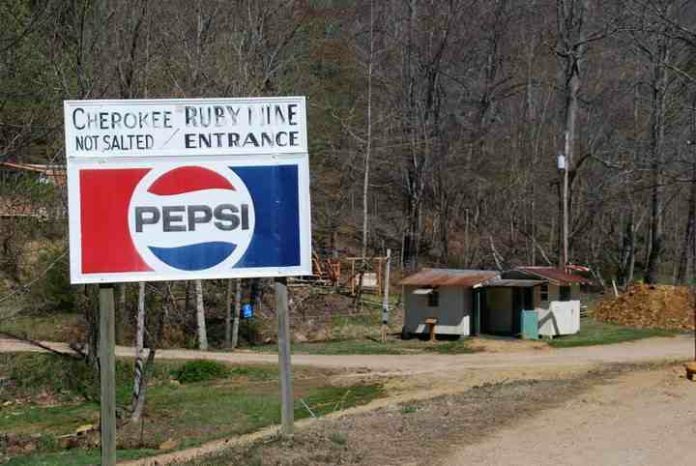 Search for rubies inside the Cherokee Ruby Mine. You can sluice through rocks and dirt with a screen and look for precious treasures, including sapphires, garnets, and rutile. The price of admission is low, and the fun level is high, so make it a family outing. 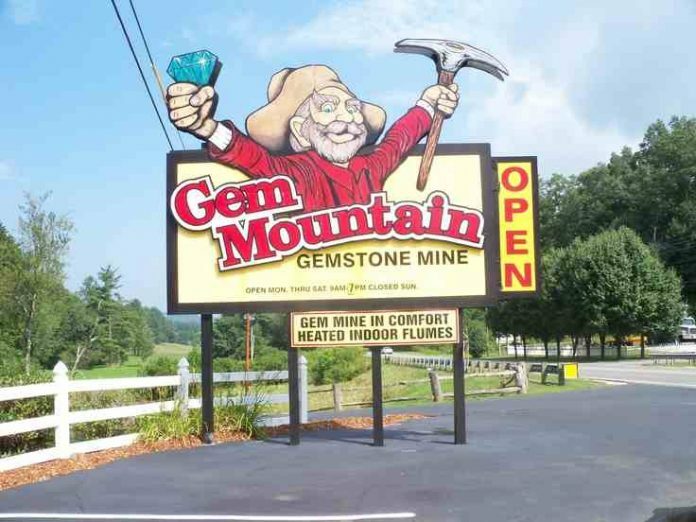 The mine is open for gem hunting to the public from April through October. The backdrop of the Blue Ridge Mountains will make it a beautiful summer vacation. One of the most beautiful states in the country, Montana is also a great place to go gem hunting. 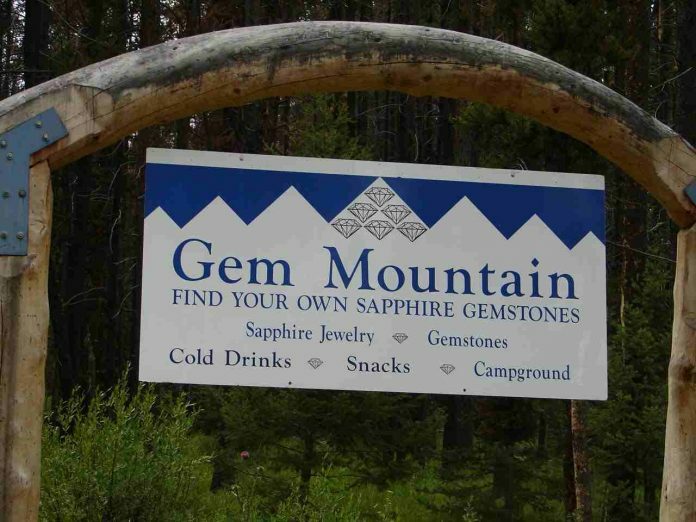 Check out Gem Mountain Sapphire Mine for some stellar prospecting. What will you find when you sift through the dirt and gravel at Gem Mountain? Sapphires, and lots of them. The staff will help you clean your gems and assess them, so you’ll know which stones are worth saving and possibly turning into wearable pieces. You can also purchase sapphire gravel to take home or ready-made jewelry designs featuring the gorgeous Montana sapphires. 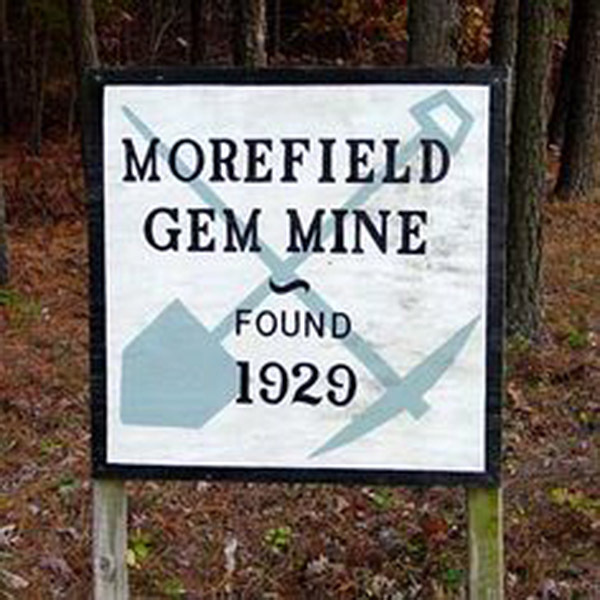 The Morefield Mine, just under an hour from Richmond, VA, is known for its vast amount of amazonite. Prospecting here may also reward you with garnet, amethyst, beryl, topaz, and many other minerals. There are mining opportunities here for all skill levels. Prospectors can use the sluicing technique or collect from the mine dumps. The Morefield Mine has its own exhibit of stones onsite as well as one at the world-famous Smithsonian Institution in Washington, DC. Colorful and unusual, opal is an eye-catching gem. 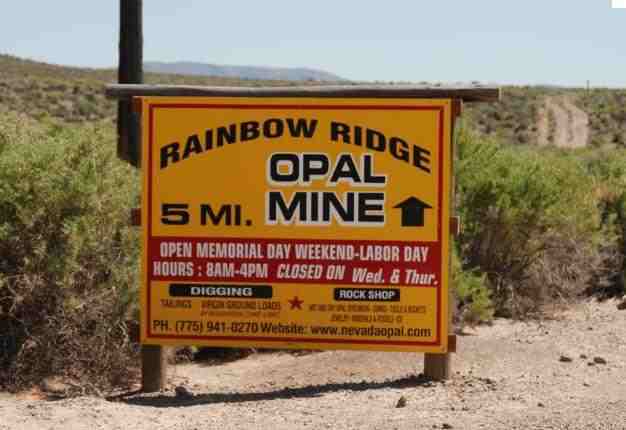 Mine your own opals at the Rainbow Ridge Opal Mine. This mine has produced very valuable stones, some worth upwards of $50,000. Bring tools and buckets. You’ll be doing some serious digging to get to the treasure here, but your hard work could pay off. The mine is open from May to September. 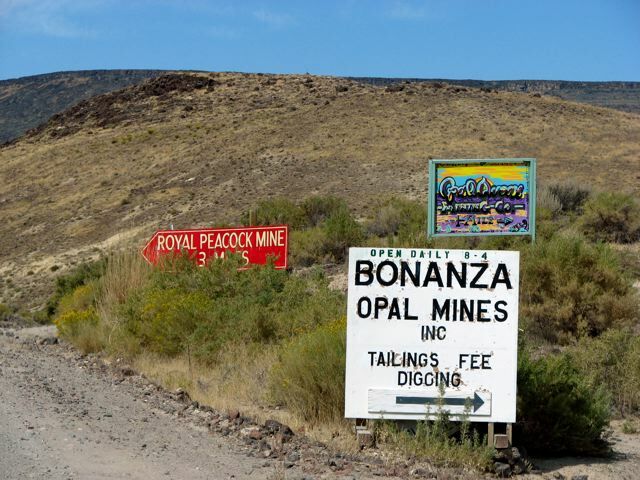 If you’re gem hunting for fire opals, visit the Bonanza Opal Mine in Denio, Nevada. The mine is open from May to September. New York is home to Broadway shows, plenty of shopping, Times Square, and the Statue of Liberty, but did you know New York is a great place to mine for gemstones? 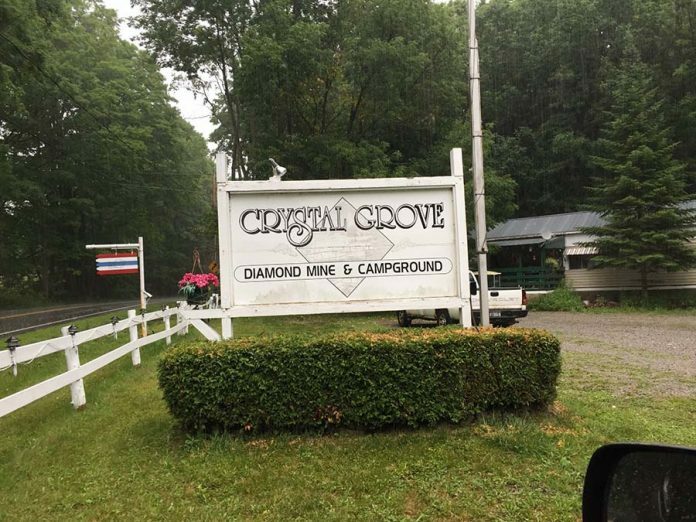 Crystal Grove Diamond Mine is the place to go to find Herkimer diamonds, beautiful quartz crystals that are fun to mine. These crystals were first discovered in New York, and the perfect clarity of some of these stones makes them very popular with gem hunters. You can rent or bring your own prospecting tools. For big embedded crystals, you may need a chisel or hammer to break them out of the rocks. It’s worth the effort.